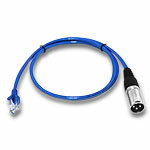 Signal Terminator for DMX Driver XLR5 Type NEW! 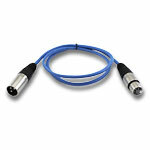 This is a DMX signal terminator for DMX Decoder / Drivers that use an XLR5 type connection for DMX Signal to LED Lights. This terminator will allow you to terminate the DMX signal in the last DMX driver of your system. 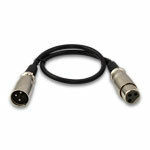 For use with DMX systems using more than two XLR5 DMX drivers. Our adjustable flicker free 1 to 5 channel DMX LED decoder is the top choice for lighting and video professionals who require smooth fading and color changing effects with no flicker or noticeable steps. The PWM output frequency can be set from 500HZ ~ 30K HZ with an 8bit or 16bit resolution, and a dimming curve gamma value from 0.1~9.9 allowing for fluid dimming and color control functions. Using the analog display choose from 1CH output (5 single channels) or 5CH output (RGBW+WW) and set your starting DMX address. XLR5, RJ45 or simple screw down connectors give you plenty of options to input and output your DMX signal. Small screw down connectors are used for your DC input and output. An impressive 8 amps per channel allows you to control up to 96W (12VDC) or 192W (24VDC) per 5 channels. 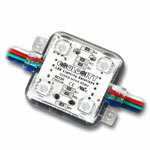 This product is intended only for use with 12-24VDC common anode style RGBW, RGB, or single color LED lighting. A 12-24VDC low voltage driver is required to power this unit and must be large enough to power the load of the light output. 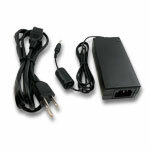 This product is RoHS and CE approved. Our adjustable flicker free 24 channel DMX LED decoder has six RGBW outputs to enable smooth control of six 12-24VDC 4 Color LED Lights or fixtures using a DMX control signal. Built in adjustable PWM dimming control ranging from 500Hz - 30kHz makes this is the ideal DMX decoder for lighting and video professionals who require smooth fading and color changing effects with no flicker or noticeable steps. The PWM output frequency can be set from 500HZ ~ 30K HZ with an 8bit or 16bit resolution, and a dimming curve gamma value from 0.1~9.9 allowing for fluid dimming and color control functions. Using the analog display choose from 1CH (24 single channels) or 24CH (6 RGBW channels) output and set your starting DMX address. XLR5 or RJ45 connectors give you plenty of options to input and output your DMX signal. Small screw down connectors are used for your DC input and output. An impressive 4 amps per channel allows you to control up to 1,152W (12VDC) or 2,304W (24VDC) per 24 channels. 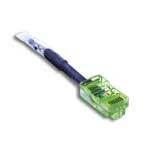 This product is intended only for use with 12-24VDC common anode style RGBW, RGB, or single color LED lighting. 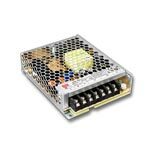 A 12-24VDC low voltage driver is required to power this unit and must be large enough to power the load of the light output. This product is RoHS and CE approved. 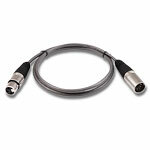 DMX Signal Cable, XLR5 Male to XLR3 Female - 36"
DMX Signal Cable, XLR3 Male to XLR5 Female - 36"